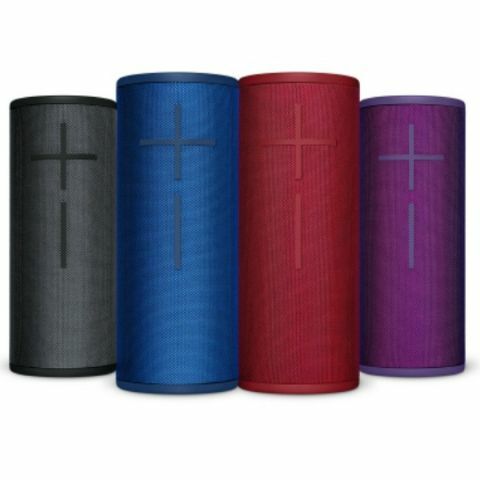 If you have a budget of Rs 15,000 for a Bluetooth speaker, then the Logitech UE Megaboom is the way to go. The speaker sounds great, has amazing battery life, you can take it swimming with you and in case of an emergency use it as a weapon for self-defence. The Bose SoundLink Revolve+ sounds quite impressive, and easily equals the audio quality parameters set forth by the older SoundLink speakers. It produces excellent bass and bright highs, with slightly mellow mids. There is no distortion at high volume levels from mobile devices, the the speaker itself is well made and suavely designed to please discerning buyers. This sleek and compact Bluetooth speaker from the iconic audio brand belches out clean, lush sound thats easy to listen to. It’s also has hassle-free connectivity and comes with a microphone to allow you to take calls. The only downside is that there’s no stereo separation and cannot be paired with another speaker. The Sony SRS-XB41 is a Bluetooth speaker designed for the average bass-head and that is what it does well. It has an IP67 rating meaning it can survive being submerged and the nylon mesh feels very premium. Like most Harman Kardon products, the Aura 2 looks quite futuristic, like a piece of art. It also sounds great although it’s not for the audiophile’s ears. The speakers light up in a sharp white colour, and looks quite fancy in the dark. The UE Wonderboom is a highly recommendable speaker for its price. At Rs. 7,995, the Wonderboom produces good audio clarity, and the slight bias for low frequencies add a touch of depth to how it sounds. It is a bit heavy for its size, but the only real thing we missed here is a speakerphone, which would have made it a complete package. Don’t judge the colourful compact speaker for its size and it can belt out sound that’s closer to bigger speakers. It’s also water and dust resistant and has a battery life of around 8 hours. The UE Megablast has Alexa built-in, making it smarter than the rest. You can use it as a standalone speaker connected to Amazon’s services as well as a Bluetooth speaker. The Megablast sounds just as booming as the Megaboom, only smarter. the JBL Flip 4 offers great clarity, and the sound signature is sweet and warm. If you like your audio to sound more neutral, the JBL Flip 4 will impress you more than the UE Wonderboom. It also offers aux connectivity, speakerphone and full waterproofing, and like the UE Boom 2, can pair up to a claimed 100 other Flip 4s simultaneously via a mobile app. The Muvo 2c speakers are dustproof and waterproof with an IP66 rating. The speakers come with a Sound Blaster Control Panel Software to allow customisation and tweaking of its audio via a PC or Mac.